GEELONG’S Motor City Music Festival will become an annual event after its successful debut over the long weekend. Executive producer Hugo T Armstrong says he and the other organisers were “thrilled with the reception” for the inaugural festival, which attracted almost 5000 patrons. “We had faith that if we built it, fans would come – and they did,” Armstrong says. “The support we received from everyone in the community helped us to get the event up and running and the fans loved every minute. 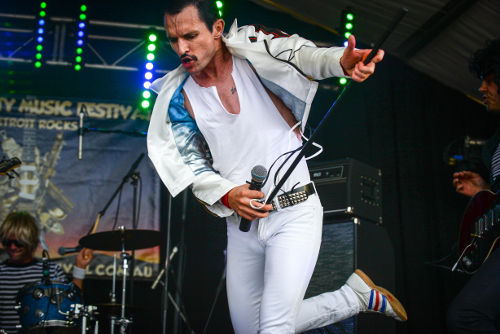 Rock lovers embraced the three-day festival’s first night on Friday, enjoying bands including Chocolate Starfish, Nick Barker and the Heartache State, Geelong’s Diehard Dolls, Jimi Hocking’s Blues Machine and Chris Wilson’s Crown of Thorns. Saturday attracted the largest turn-out of patrons who sang along to a diverse line-up of some of Australia’s leading tribute bands, including Pearl: The Ultimate Janis Joplin Show, The Australian Doors Show, The Australian Queen Tribute Show, Shed Zepplin, Appetite for Destruction, Thunderstruck and Kisstroyer. Blues aficionados flocked to The Blues Train stage where Jimi Hocking Blues Machine, Geoff Achison and Lloyd Spiegel kept the party atmosphere going with dueling guitars. American Bert Deivert joined in on mandolin as a special guest, providing one of many highlights at the festival. Sunday changed pace with a family day. Children had their own Kids Zone where Dazzling Dan the Magic Man, Hoop Fusion and Funky Mummies provided entertainment. 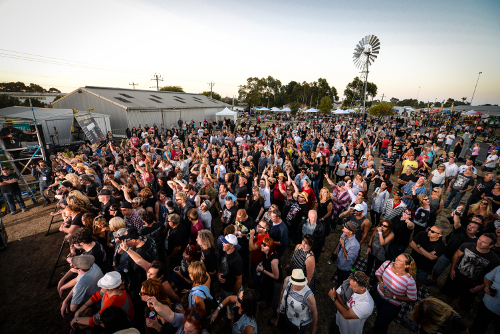 Older patrons watched the next wave of local Geelong bands, while families gathered on the lawns of Southern Cross stage for Daryl Braithwaite, The Chantoozies, Boom Crash Opera, Michael Stangel, Jason Singh and Geelong’s legendary Glitter Gang. The event culminated at 8.45pm with Geelong Showgrounds’ “largest fireworks display ever seen”, Armstrong says. Armstrong thanked the event’s patrons and supporters for backing the first festival.